These two are awesome. Seriously, we are in awe. Two remarkable people locked brains last night in London during a sold-out conversation event at Emanuel Hall. Emma Watson, an actress, Global Goodwill Ambassador for UN women and outspoken advocate for gender equality talked to pioneering feminist, writer and activist Gloria Steinem. This week Gloria Steinem also expressed her admiration for Watson’s recently-launched feminist book club, Our Shared Shelf. Watson selected Steinem’s new book My Life On The Road as the book that would lead the group’s reading list. 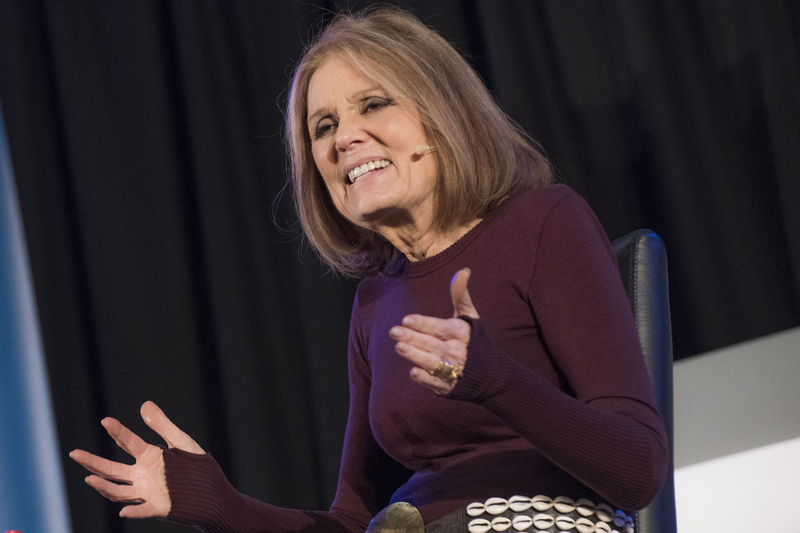 During the Emanuel Hall discussion Steinem gave Watson’s gap year plans (to take time out for self-directed study) her stamp of approval, calling it ‘precious and unusual’.